The heart is the most vital organ of the body. The fist-sized bundle of muscle lives under the ribcage (slightly to the left of the sternum) and between the lungs. While the heart only weighs about 10oz, it is a complex maze of pumps, valves, and electrical signals which carries nutrients, blood, and oxygen throughout the body. How does the heart work? Well unlike most pumps, which only transport fluid from one location to another, the heart pulls vital fluids in, passes them through the lungs so they can be re-oxygenated and then passes new, oxygen-rich blood throughout the body. Technically, the heart is a large muscle made up of four chambers. There are valves, or “doors,” leading to each of the chambers which regulate the amount of blood flowing into each chamber at any given moment and make sure blood only travels in one direction through the heart. In a process known as systole, the muscle contracts and pumps blood from the largest chamber, known as the left ventricle, into the arteries. The heart then relaxes – blood fills up in the heart again and the process is repeated – in milliseconds. The arteries carry this fresh, bright red, oxygen-rich blood through a network of branches of blood vessels ending in capillaries, so it reaches every part of the body. De-oxygenated blood flows back to the heart through veins. Blood which is depleted of its oxygen content comes into the right side of the heart via two very large veins. It is first pumped into the right atrium, and then the right ventricle. From there, the blood is sent to the lungs where it is re-oxygenated and carbon dioxide is released into the lungs (the reason you breathe out). Oxygen-rich blood comes back into the heart from the lungs via the left atrium. It is then pumped into the left ventricle, and out to the body via a very large artery called the aorta. The heart muscle pumps because of its built-in electrical system. This electrical system signals the heart when to contract and pump the blood from one chamber to another. 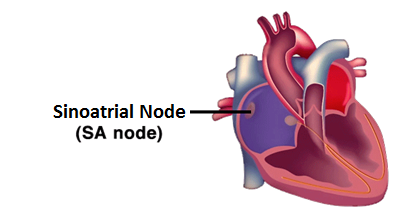 The electrical system begins in the right atrium at the SA (Sinoatrial) node. The electrical impulse is first generated in specialized pacemaker cells. The impulse then travels from the SA node to the AV (Atrioventricular) node. 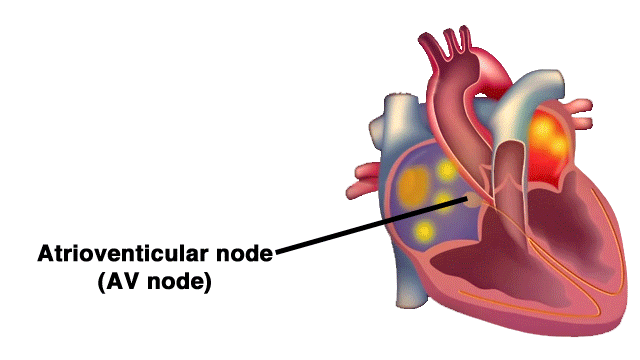 The AV node is at the junction of the right atrium and right ventricle. From there, the impulse travels through the right and left ventricles via specialized tissue called the bundle of HIS, then down the right and left bundle branches ending in the Purkinje fibers. The ECG (Electrocardiogram), sometimes called an EKG, is a snapshot of the electrical system of the heart at work. The P wave occurs as the right and left atria contract, pumping blood into the right and left ventricles. The QRS complex occurs as the right and left ventricles contract sending blood either to the lungs or the body. The T wave is the relaxation phase of the ventricles. Since the ECG tracks all of the major electrical impulses of a normal heart rhythm, it is a very useful clinical tool. An ECG can identify many heart problems including, abnormal heart rhythms, heart enlargement and injury to the heart. In fact, through the use of electrode pads on a patient’s chest, an ECG is how AED units determine if a patient is in a normal sinus rhythm (as seen above) or if the heart isn’t working properly. Did this answer your question: “How does the heart work?” if so please feel free to share this article with friends and family. 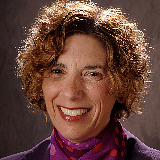 If you want to learn even more about the heart and its functions, Heart.org has a variety of resources available.